This community development project seeks to build a sustainable local market for foods produced in and around Knox County. Working collaboratively with farmers, businesses, and a variety of community organizations, the project is conducting a county-wide food assessment, establishing a local food warehouse and community kitchen, providing small grants to farmers for new product development, and developing marketing materials and public presentations to educate us all about food, farming, and rural life. This nine-cube tabletop exhibit explores the implications of our food choices for us as individuals and for our community. Each cube explores a different implication of our food choices-- for nutrition, health, food production, economics, politics, and the environment. Materials presented include discussion of a food product and biographies of people related to the local food system. Copies are currently on display in restaurants, libraries, school cafeterias, medical offices, and assisted living centers. This twenty-two-panel exhibit traces Knox County's food system from farm to table. Drawing on interviews and fieldwork with dozens of local residents, including farmers, food processors, truckers, restaurant owners, and consumers, the exhibit consists of photographs and text that provide a unique perspective on the food we eat and the character of rural communities. The exhibit debuted at Kenyon College in May 2006 and has been featured at the Knox County Fair and the Centerburg (Ohio) Oldtime Farming Festival. This exhibit is on permanent display at Malabar Farm State Park in Lucas, Ohio. "Where Does Our Food Come From?" is also the title of a seven-minute film that explores the many reasons for buying locally. This series features essays, biographical sketches, photographs, and recipes exploring food and community life in Knox County. Topics include gardening, hunting and trapping, food markets, the economics of food, new farmers, feeding the hungry, eating out, ritual food, cooking, canning and preserving, food and healing, and food choices. The series is based on extensive field research. Bound copies are available for $10 from the RLC. This booklet is designed to bring together consumers and producers of food products in Knox County. The guide includes a complete listing of forty farm, farm markets, and businesses carrying local foodstuffs. Additional materials include maps, information on seasonal availability of products, and an essay on the history of agriculture in central Ohio. A web version also features recipes for foods in season and information on food preservation. This web-based, interactive curricular unit explores family farming and community life. Designed for middle-school students, the materials and exercises were selected to develop skills required for Ohio's ninth-grade proficiency examination. The site is organized around six questions: What is family farming? How do farmers relate to their environment? Where does food come from? What is life like in a farm community? How has farming changed throughout history? What will shape farming in the future? The site also includes teacher resources. Award: Ohio Association of Historical Societies and Museums Outstanding Educational Project. 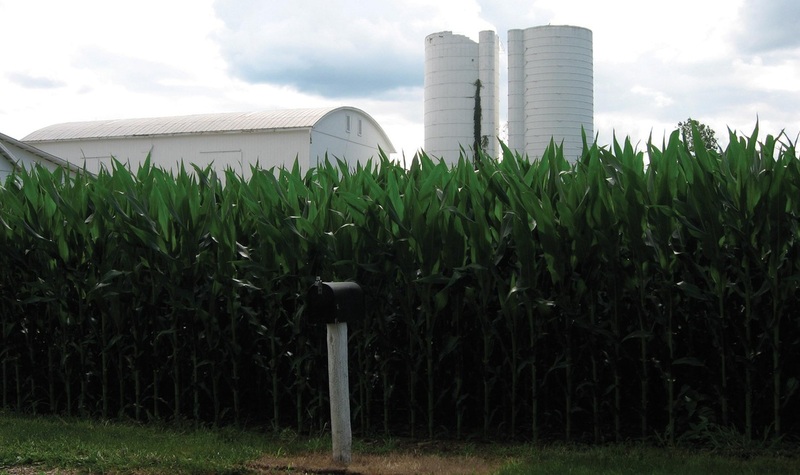 This web site explores family farming and community life in Knox County, Ohio, and was based on extensive field research. The site is organized around five themes: what is family farming, life on a family farm, farm economy, farm organizations and community life, and farming and the environment. The site also includes information on the Family Farm Project (1993-1996) and teaching materials used in coursework related to the project. Awards: Ohio Academy of History Public History Award, Ohio Association of Historical Societies and Museums Outstanding Multimedia Project, Education Index Top Site. This audiotape and booklet feature thirteen visits with central Ohio farm families. The audio programs originally were presented nationally as a series of five-minute radio broadcasts. Topics include historical changes in family farming, agricultural technology, women's roles, farm aesthetics, organic farming, and spirituality. The booklet presents an essay on the history of family farming in central Ohio, photographs, and biographical information on each of the families in the series. Copies are available for $15 from the RLC. Awards: American Farm Bureau Federation Community Award, Ohio Association of Historical Societies and Museums Outstanding Audiovisual Project.